Every home buyer is looking for that “ahhh” moment when they can see themselves living in a property. As property stylists, our aim is to create that feeling from the moment the client walks in. It’s a tricky task, but when done right, makes magic. 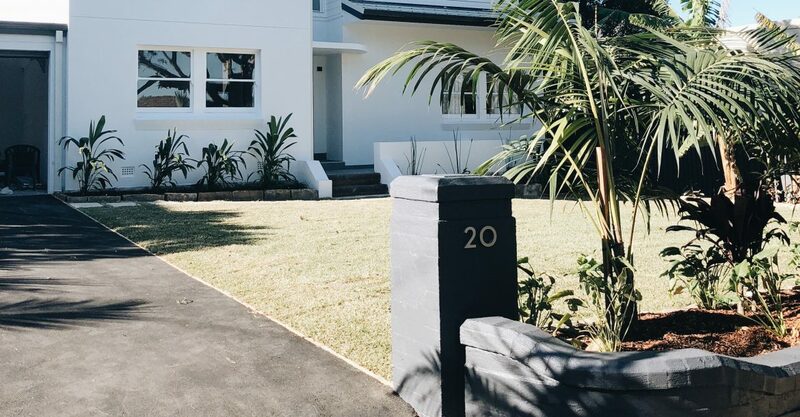 It’s a big part of the reason why we have a 95% success rate of return on investment on our styled properties. 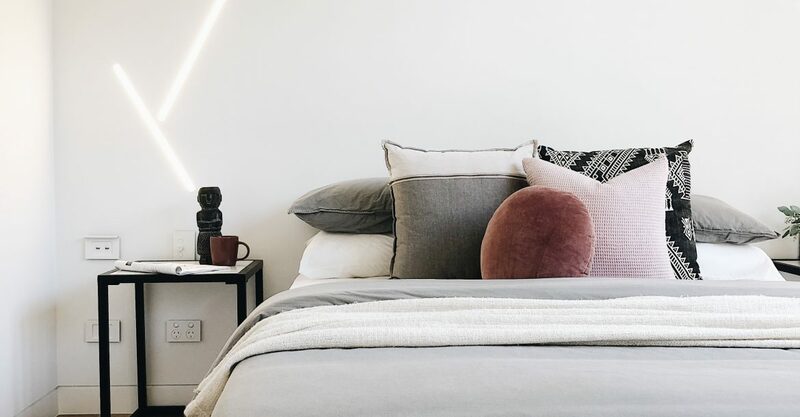 Here are just some of the ways BOWERBIRD can help you turn your house into a home (contact us via the form at the bottom of this page if you’d like to find out more). You can have the most beautiful house in the world, but if it’s not comfortable to live in, it will never feel like a home. We constantly scout beds, sofas and chairs that are the perfect combination of modern and cosy. Finish with soft furnishings such as cushions and throw rugs, and the client will easily envisage long nights and lazy days curled up with a good book and a glass of red. The dining area is the hub of social activity (family dinners, after-work drinks, date nights). Whatever the style, this spot needs to be warm, inviting and open. This means keeping it decluttered, well-lit and comfortable. 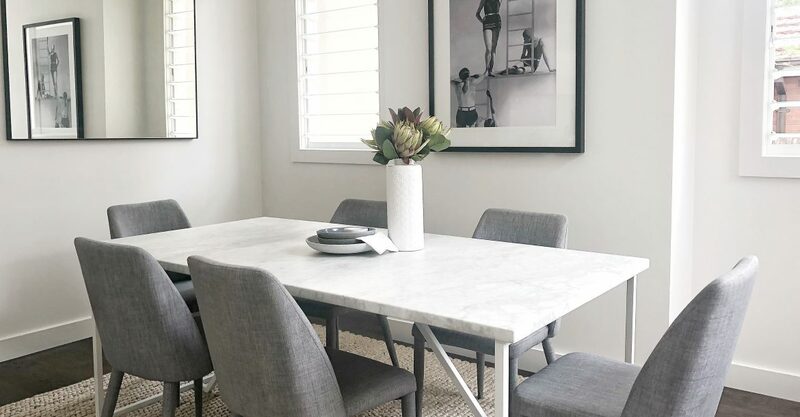 If you have the space, the bigger the dining table, the better – it just conjures up images of good times. Location is a huge factor in a client’s property preferences, so it makes sense that the interior should reflect the exterior. You wouldn’t style a beach villa and a city loft the same way! 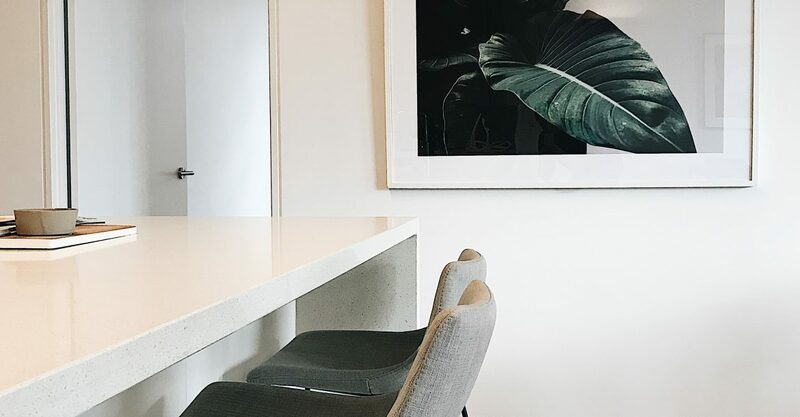 We add subtle touches through textiles, colour schemes and decor to captivate the client’s personality and everything they love about the area. Nothing makes a house feel more alive than live plants! We don’t think there’s a property out there that couldn’t be made more homely with a vibrant potted plant or two … or three or four. 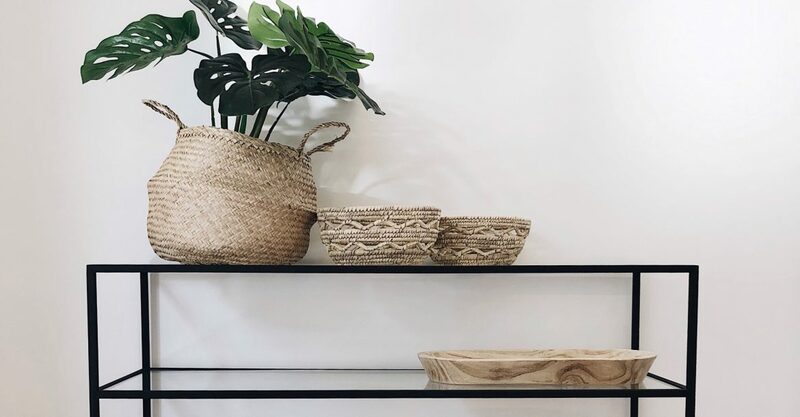 We opt for sturdy, low-maintenance house plants like bamboo, fiddle leaf fig, Kentia palm, rubber tree and yucca (you’ll never have to worry about walking in on a room of wilted plants during a viewing). We don’t just hang up artwork to fill up space or make things look pretty. 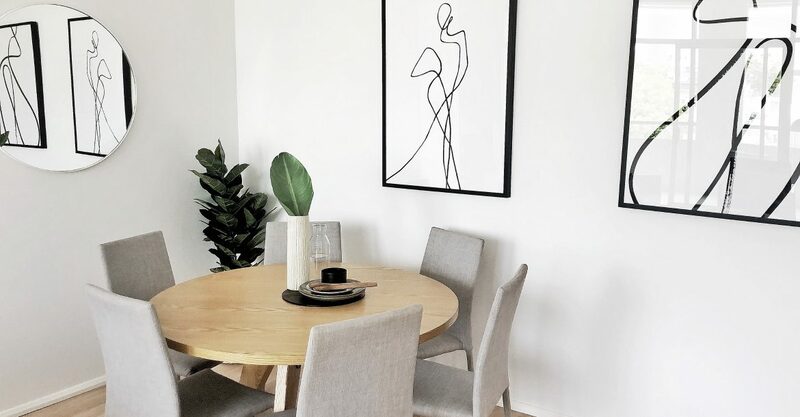 Artwork gives the property a unique flair that you can’t just buy in a shop. We look for stunning photographs and prints that complement the style of the property and potential owners. Contact us at BOWERBIRD using the form below and we’ll get back to you as soon as possible.